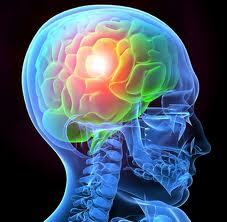 Traumatic brain injury (TBI) is a serious public health problem in the United States. Each year, traumatic brain injuries contribute to a substantial number of deaths and cases of permanent disability. Every year, at least 1.7 million TBIs occur either as an isolated injury or along with other injuries. The majority of TBIs that occur each year are concussions or other forms of mild TBI. Falls continued to be the leading cause of TBI (35.2%) in the United States. Falls cause half (50%) of the TBIs among children aged 0 to 14 years and 61% of all TBIs among adults aged 65 years and older. Among all age groups, motor vehicle crashes and traffic-related incidents were the second leading cause of TBI (17.3%) and resulted in the largest percentage of TBI-related deaths (31.8%). At Semirog Law we regularly handle personal injury and auto accident cases involving concussions and brain injury. We have assisted North and South Carolinians, just like you, in reaching successful resolutions to their insurance claims and lawsuits. unless we obtain a settlement or a verdict for you.